Neck pain is a very common complaint in the clinic and it often refers to pain in the upperback and shoulders as well. Side effects of neck pain can include dizziness and headaches. Neck pain can have a variety of causes, muscle fatigue, locking of the joints in the neck, stiffness and limited range of motion. It can also be caused by a sudden force (car accident), or a medical condition (swelling, disease, tumours, bleeding, inflammation, etc). Some neck pain can also cause headaches and/or dizziness. Acupuncture is highly effective at treating neck pain no matter what the cause. Acupuncture will reduce inflammation which in turn will reduce pain and increase movement. Acupuncture is also a “non-invasive” procedure on the neck as it does not physically manipulate the vertebrae and it gets great results. Neck pain is predominantly treated with acupuncture, electro-acupuncture and in some instances heat lamps and results are very positive. 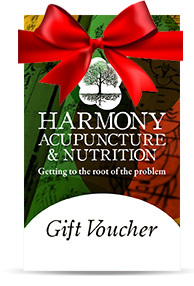 Here at Harmony Acupuncture we have great success treating neck pain. I visited Rachel last year after a fall where I sustained shoulder and neck strain injuries. I had limited movement in my neck and my shoulder was stiff and sore. She worked on both of those areas over a period of five weeks, applying acupuncture and intense electro therapy. After a very short timeframe my neck movement range had increased and the levels of discomfort had lessened significantly which was a great relief. Rachel is a very thorough and masterful acupuncturist. She takes a holistic approach to treatment, I felt she asked pertinent questions and listened to what I was saying while also tuning in to physical signals. She explained her diagnosis and treatment plan very clearly and I really trusted her. All in all a very positive first experience for me and I would recommend Rachel highly.